The Kawasaki “Staffa” range of high torque low speed fixed displacement radial piston hydraulic motors consists of 12 frame sizes ranging from the HMB010 to HMHDB400. Capacity ranges from 50 to 6,800 cc/rev. The rugged, well proven design incorporates high efficiency, combined with good breakout torque and smooth running capability. 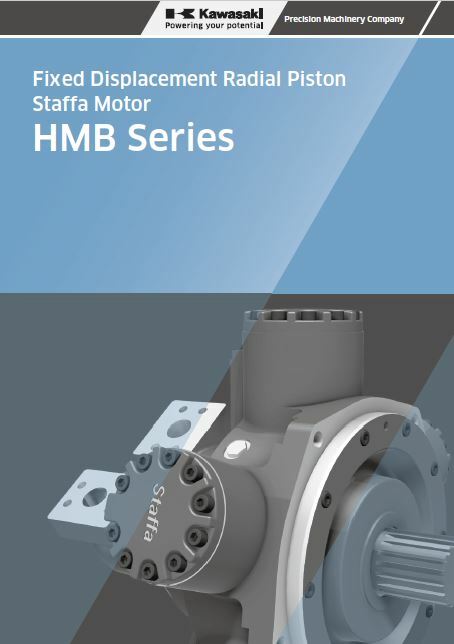 All staffa motors can be used in freewheeling Applications. In all circumstances it is essential that the motor is unloaded (A and B ports connected together) and that the circuit is boosted. 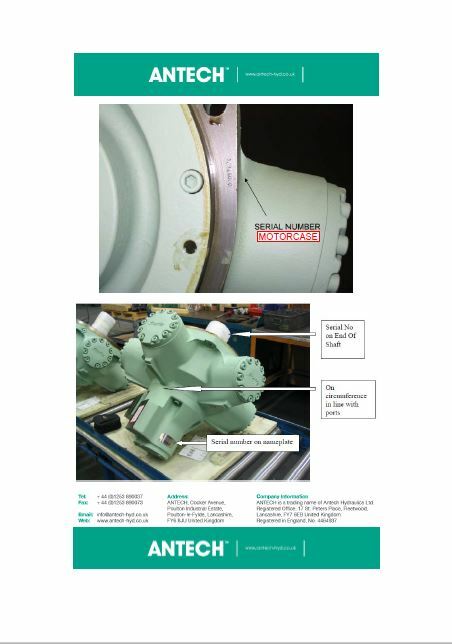 The required boost pressure will be dependent on the required speed and displacement conditions. It should be noted that for HMB Series motors to achieve freewheel, large flows will have to re-circulate around the motor. This will require a large re-circulating valve and consideration of the circuit cooling as the motor will generate a large braking torque. Therefore for these reasons we would suggest a ‘HMC’ or ‘HPC’ Motor would be a preferred option for freewheeling applications.